New water, new campaign, new #carpgear. Why a new water, well see Overnight Success; and a new campaign, see previous blog Holiday Blues, and as I’m sure you will agree, any new #carpgear needs no explanation! The new venue has three lakes, is perhaps the smallest I have fished but very pretty and with a good head of fish of all species, being mentioned in Angling Times for some large perch, very carpy. My first visit was an short afternoon session, a sort of recon for the second planned visit, an overnighter two days later. With that in mind I packed one carp rod, a Fox Warrior 2.75, giving me a possible surface option and an 11ft waggler by Shakespeare. The plan being to drop boilies in a nice margin spot while fishing for anything using corn, luncheon meat and or chopped worm on the waggler. Walking around the lake and chatting to other anglers it seemed that the big’uns come out of the corners. With that in mind I dropped into the south east corner. This was a shallow shady spot, but would see the last of the days sun. The waggler proved fruitful with roach to over a pound on corn and worm. 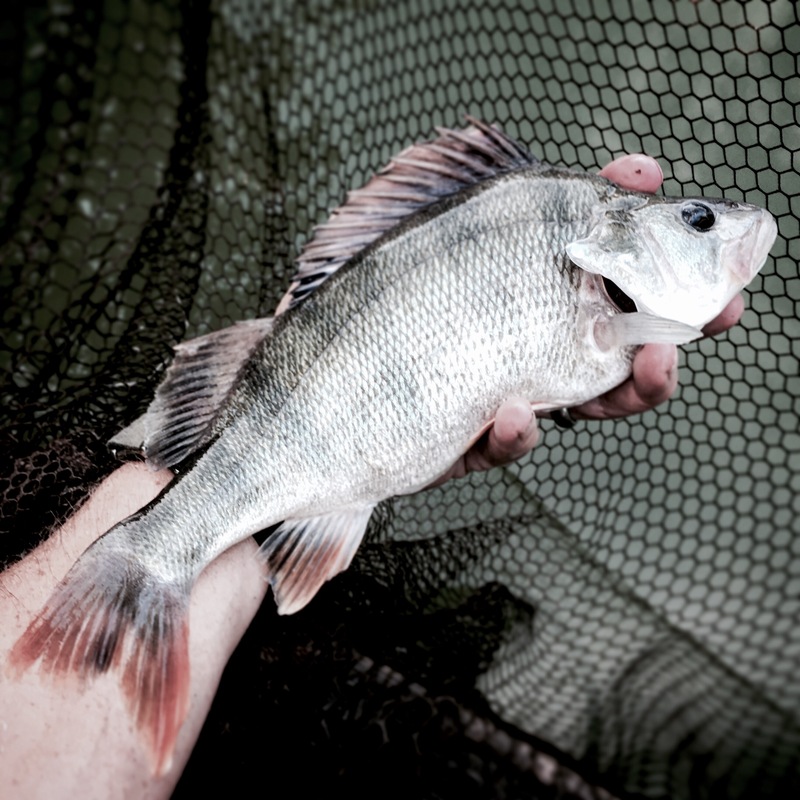 When the perch moved in, I upped the size of hook and worm and this culminated in a handsome perch just over the pound mark. The swin then went quiet and I suspected a carp had moved in on the bait so I quickly changed to an ounce bomb and some luncheon meat and waited. Sure enough after fifteen minutes it was away and taking line on the light tackle. Then as quickly was it arrived it was gone as a great boil of brown water saw the hook shed. 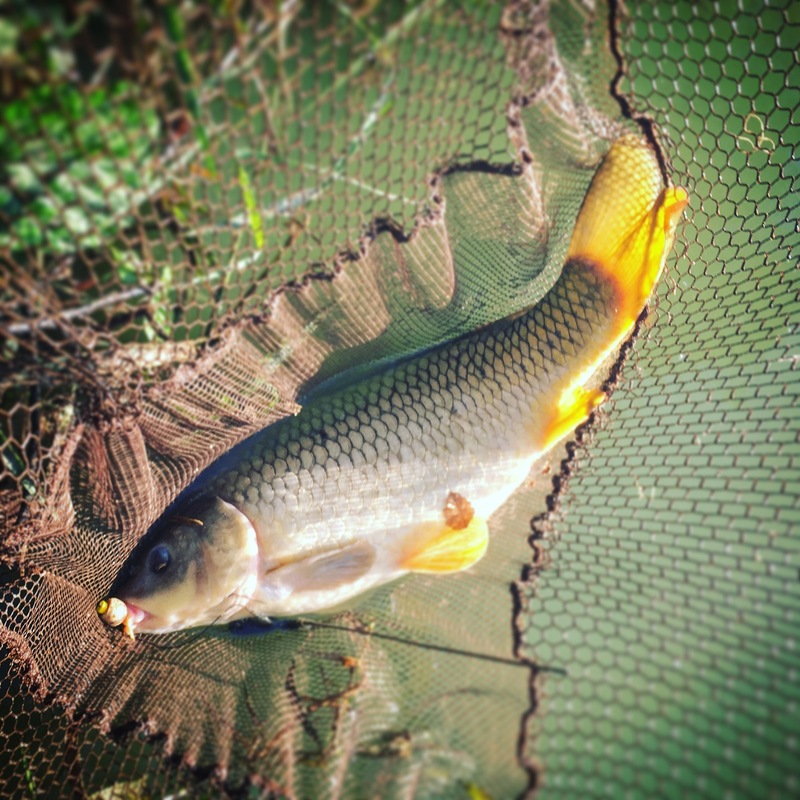 With a couple of liners on the margin rod I judged the afternoon a great success, reconnecting with “active” fishing as opposed to the more “passive” carplife. Back with a barrow load of gear for the overnighter and I dropped into the north east corner as an angler was just leaving. The reeds were being knocked about, the water was bubbling, and this corner was at the deepest end of the lake and looked promising. I threw a couple of handfuls of BaitTech Triple N boilies in and around the reeds and set the rods up. I was using the Sonik S3‘s paired with Tournos 8000‘s, despite being a small lake there are thirties in it and I didn’t want to be out gunned. Plus they look great and are a beautifully balanced combination. Half and hour later out went the right rod and then I started to think about the position of the left. The options were; open water, left margin, or along the north bank margin but I would have to wait and see if anyone in those swims was staying the night as I would be fishing in their water. As there was an hour until the gates would be locked, I flicked the left rod into open water and waited to see who would be staying. By seven the north bank was clear and by then I had had two from the margin spot, both around 10lb. The left rod was placed close to an old willow, 6.5 wraps out and then surrounded by a smattering of boilies. By 10pm I had had three more from the margin, all commons again and of a similar stamp. The left rod remained quiet. The bivvy was up and the kettle on and time to relax on my new acquisition; a JRC Stealth bedchair, first impressions were that it would very comfortable for the night. All was quiet after that, bar being awoke by the aerator at midnight thinking it was the most enormous show in the history of carp fishing. I drifted back off until half three when the carp did start to stir. As I had to be off the swim by 7am I swung my legs off the very comfortable bedchair and put the kettle on. I knew if I lay down again I’d miss the action so snug was the bag and bed. With the sunrise not due for another two hours I listened and most of the shows seemed to be mid water to my left, probably about where a angler had told me a trench ran. I wound in the left rod, change the hook link to accommodate a pop-up and cast into the darkness. The next hour passed without a bite. The carp were still active and I could see the right reed margin more clearly so decide to recast for the last two hours. I discovered then that I have cast too close to the reeds in the dark as the hook had collect a twig and what not. I doubted my presentation during the night and could this be the reason the right rod suddenly went so quite? Accurately placed this time I started pack away and load up the barrow. 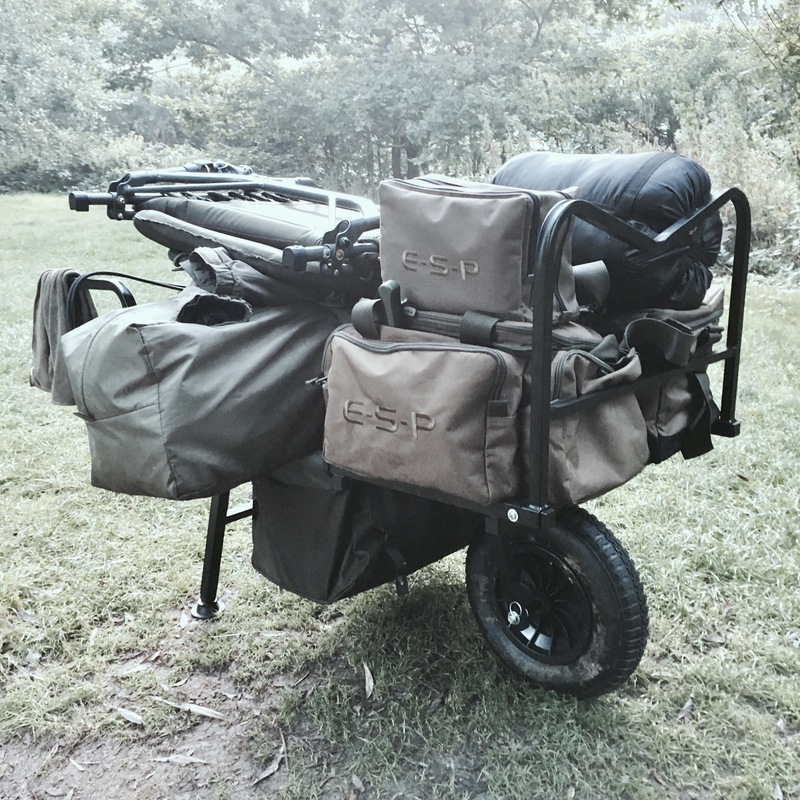 Bleep bleep – the right rod called out and I was in again. It felt heavier than previous fish but sluggish, then the carp woke up fully and was off, left and right, diving, surging, after a good scrap another common was in the net and the biggest yet – a low double. And that was the end of a very enjoyable session. Six common carp up to 12ish lb, a good nights work and a good nights sleep on the new bedchair. Lots of positives and looking forward to coming back and fish the other corners.